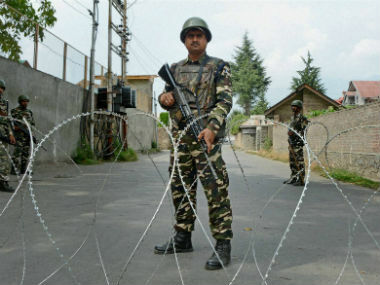 Tariq Ahmad, a Jammu and Kashmir police officer, on Monday travelled to a mosque in district police lines of Srinagar with a sense of dread, to offer Eid prayers. He avoided going to his neighbourhood mosque which is only a few hundred metres from his home in Srinagar. Apprehensive after the lynching of deputy SP Mohammed Ayub Pandith outside Jamia Mosque in Srinagar, for the first time in his more than two decades of service in police, Ahmad chose to offer prayers in a barricaded mosque, instead of going with his family and friends to the neighbourhood mosque. “The very thought of being cautious among your own people is terrifying,” Ahmad said on Tuesday. He has been following the advisory issued by the Kashmir police a few days before the end of the holy month of Ramadan, asking its men to avoid offering prayers in “isolated" or “general mosques” or Eidgahs. “The neighbourhood children, who we used to give candies and chocolates, now in their teenage have developed immense hatred for Kashmiris in uniform. When I get out of the house, I pray that they shouldn't be around,” Ahmad says. The public lynching of Pandith exposed the deepening fault lines between the locals and the men in uniform, majority of whom are from the Valley and are Muslims. But never has the animosity reached such level of brutality as witnessed when the officer was lynched on the holy night of Shab-e-Qadr. To blame the Kashmir police of human rights violations and illegal detentions greatly underestimates their work. The force does everything under the sun: It leads from the front in almost every counter-insurgency operation, manages traffic on roads, handles local crime, provides helping hand during natural disasters, helps pregnant women from far flung areas to reach the hospital, cooks food for ministers and bureaucrats and even guards the shrines. When other institutions of the state fail, the police can be relied upon. 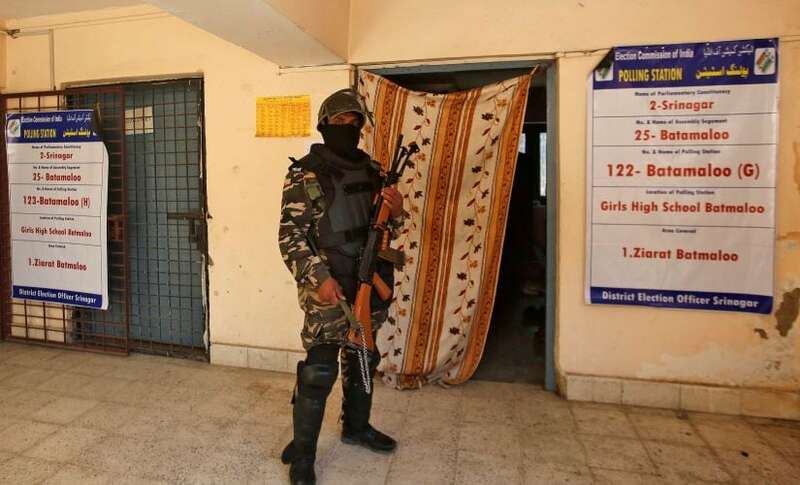 In the more than two decades of conflict in Kashmir, if there are two kinds of professionals who have worked despite tremendous odds, it is the doctors and the police personnel. “The job that we have done for the last 27 years in Kashmir is not normal policing,” says Raja Aijaz Ali, a retired inspector general of police (IGP), who is also a member of ruling Peoples Democratic Party. “Normal policing gives a sense of security and assurance to the common man that they are safe when the police is around." But the level of animosity against the cops has grown so much that recently when six policemen were killed by militants in south Kashmir's Anantnag district and the police came to collect the bodies, they were attacked by people with stones. Former DGP K Rajendra Kumar says this anger should be seen as an emerging situation where both the sides are hardening their positions. The role that the Kashmiri cops have played in counter-insurgency operations should also be taken into account. “This did not happen overnight. Earlier, incidents of police officers getting beaten up and their families being threatened and houses vandalised were also reported” Kumar told Firstpost. Kumar points out that the lynching incident happened immediately after Zakir Musa released a video threatening not only the police, but the Hurriyat too. When this incident took place, slogans were raised in favour of Musa because of political and religious radicalisation among the youth, says Kumar. 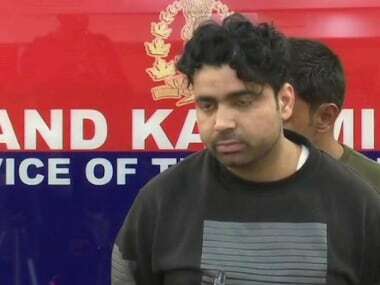 “I can’t recall the time when the Kashmir police, majority of whom are from the Valley, were seen as enemy by their own people the way they are today,” Kumar said. The Kashmir Police is now caught between the devil and the deep sea. In the Valley, the police is seen as an extension of the Indian state and is blamed for all that's wrong. But in the mainland, Hindu right-wingers have often accused it of being complacent with the militants. For the very first time, allegations were levelled against the state police during the NIT crises, after which its officers expressed anger and disappointment on social media. Within the police force also, there is a plethora of problems. When a young officer, Feroz Ahmad Dar, was killed in south Kashmir’s Anantnag town, his father was worried about supporting his two granddaughters and Feroz's wife, apart from repaying the bank loan that the police officer had taken to build his home. After Feroz's death, Kashmir police asked its men to donate a day's salary to the families of the cops who were killed in line of duty in the state this year. 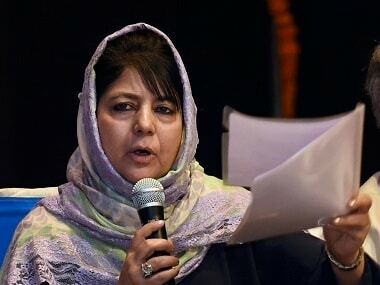 "To show solidarity and their concern for the bereaved families, Jammu and Kashmir Police personnel will donate one day salary of the current month," the police directive had read. But not everyone was happy with this directive. "Why deduct our salary? Why should not the government give at least Rs 1 crore to each of the families? Are we fighting for ourselves or the government? Our men give blood, face bullets and stones. Now, we should give money too,” a senior police officer wrote in one of the WhatApp groups. 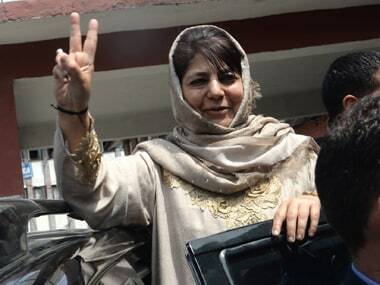 An officer of the Jammu and Kashmir Police recently told Firstpost that there is resentment among the men. “There are more than 70,000 policemen from the Valley. Even if 20 percent of them are unmarried, there are 50,000 families of the policemen in the Valley,” Ali says. “The moment they decide enough is enough, there is going to be a civil war in the Valley,” Rajendra says. For the widening gap, Ali blames the inaccessibility of the police to the public, which was better when the doors of the police stations always remained open. “Dialogue between the locals and police have ceased. Today, if people have to go to SSP, the doors of their offices, in most of the cases, are shut on their faces," he says. Former DGP, Gopal Sharma, disagrees. The "outsider element", according to Sharma, has always tried new methods to destabilise the Valley and adopt new methods to create fissures. But Sharma says the Jamia Mosque episode is going to backfire on stone-pelters. The way it has created resentment in the Valley, he says, has given out a strong message that no well-meaning person supports such brutal actions. “The truth is that a local policeman was targeted by the locals. Hopefully, balance will be restored soon and the lynching of Pandith can be treated as an exception,” he says.